1. Queen Victoria, whose birthday Canadians celebrate in May, was nicknamed “Tory” as a child. True or false? 2. 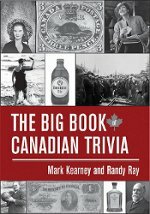 At the beginning of the 20th century which city was bigger in population -- Ottawa or Halifax? .3. What city will host the Grey Cup this year? 1. False. Her nickname was Drina, short for her name Alexandrina Victoria. 2. Ottawa, with a population of 59,902. Halifax had 40,787 people.